For the first time ever, Marvel Super Heroes and Villains face off in an incredible battle at sea! The super-charged nighttime show fills the upper decks with special effects, stunts and pyrotechnics and music. The epic finale culminates in the largest collection of Marvel Super Heroes and Super Villains ever assembled on a cruise ship. 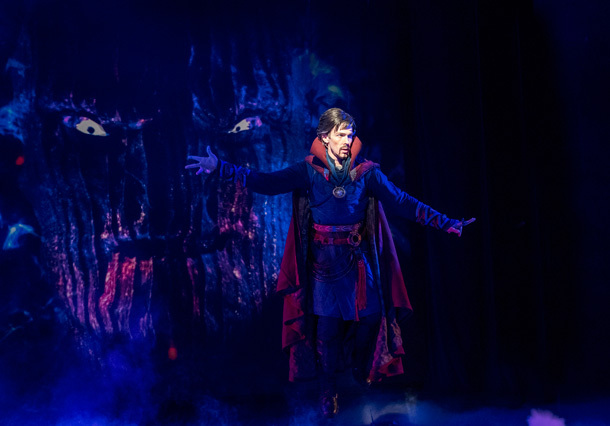 In a brand-new interactive show, sorcerer supreme Doctor Strange invites guests to join him on a journey of discovery into the world of the Mystic Arts. 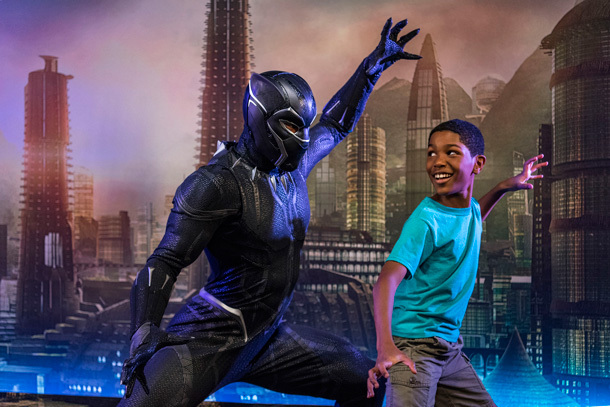 Making his very first appearance as part of a Disney vacation experience, Black Panther shares his secrets of super reflexes and extraordinary intellect during up-close encounters. 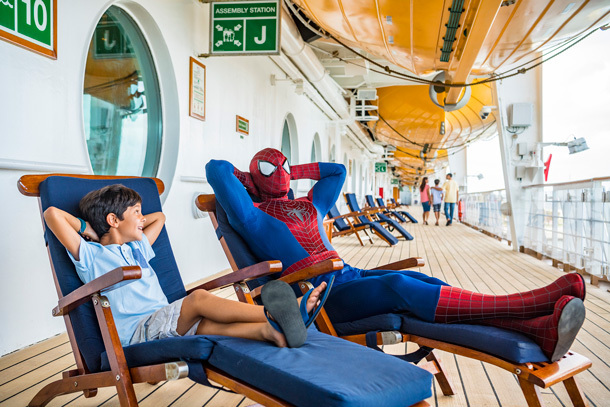 Around the ship, you may happen upon your friendly neighborhood Spider-Man, who is always quick with a word of encouragement and helping guests hone their Spider-senses. Other Marvel Super Heroes you may encounter onboard include Captain America, Iron Man, Thor and Black Widow, to name just a few. Even Disney characters are getting in on the action! Mickey, Minnie, Donald, Daisy, Goofy, Pluto, Chip and Dale dress up to honor their favorite Marvel Super Heroes. Epic news was announced today! 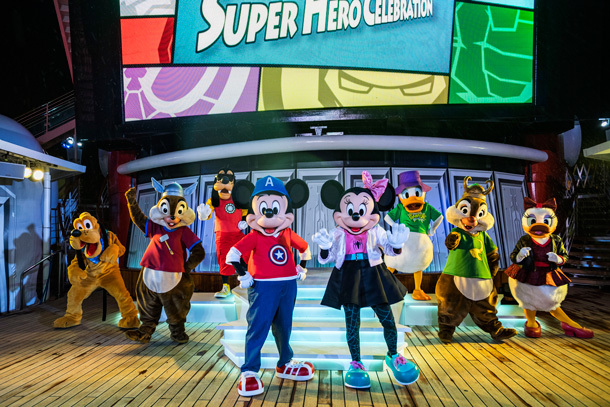 Disney Cruise Line is celebrating the adventures of the legendary Super Heroes and Super Villains from the Marvel Universe during a brand-new, day-long celebration: Marvel Day at Sea. Seven special voyages on the Disney Magic will depart from New York City in the fall of 2017. 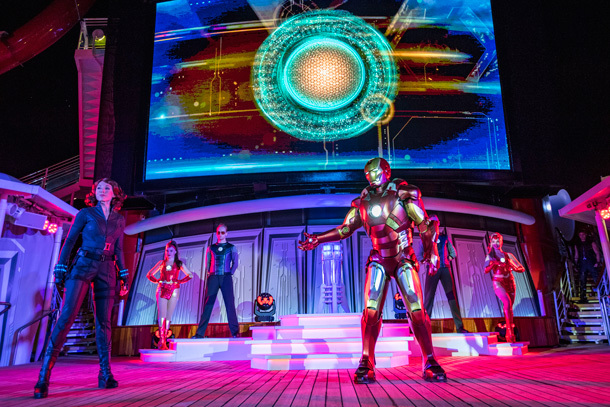 Occurring on one action-packed day during each of the seven Disney Magic sailings, you’ll be transported to a new realm of possibilities when the Marvel Universe assembles on the ship. The event features all-day entertainment including exclusive interactions with some of the mightiest Marvel Super Heroes and the menacing foes that oppose them, an extraordinary deck party, Marvel-themed youth activities, special merchandise and unique food and beverage offerings. 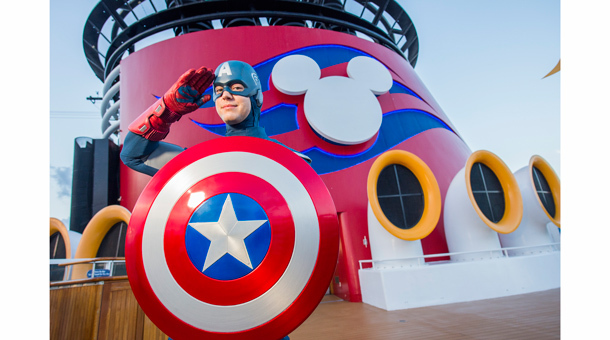 Marvel Day at Sea will be on seven- and eight-night Disney Magic Bahamian cruises departing from New York on Oct. 6, 14, 28; Nov. 4, 11 and 18, 2017. 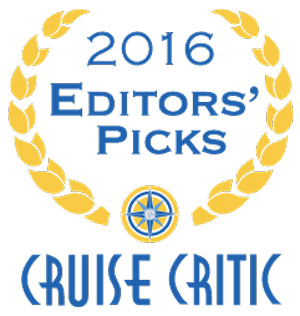 All will include a stop at Castaway Cay and Port Canaveral, with a day at Walt Disney World Resort. 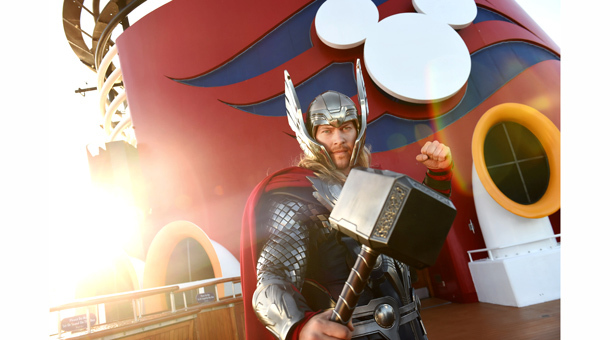 Marvel Day at Sea will be on one seven-night Canadian Coast cruise departing from New York on Oct. 21, 2017, with stops at Charlottetown, Sydney and Halifax.